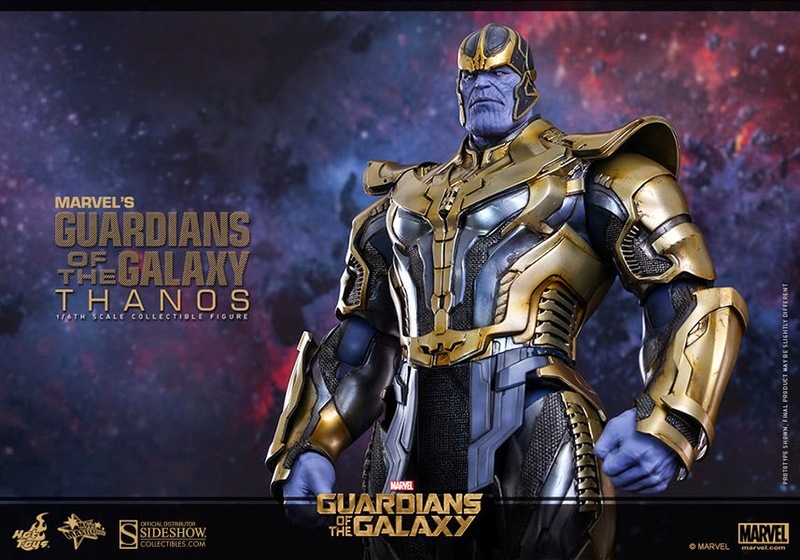 Angry Koala Gear: Hot Toys Marvel's Guardians of the Galaxy Thanos Sixth Scale Figure Looks Amazing! 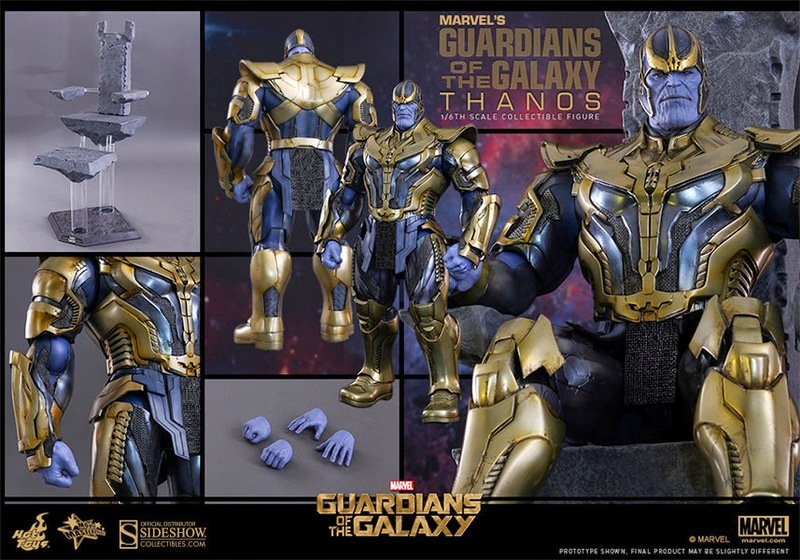 Hot Toys Marvel's Guardians of the Galaxy Thanos Sixth Scale Figure Looks Amazing! 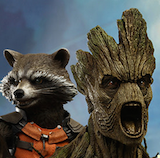 "The only matter I do not take seriously, boy, is you." 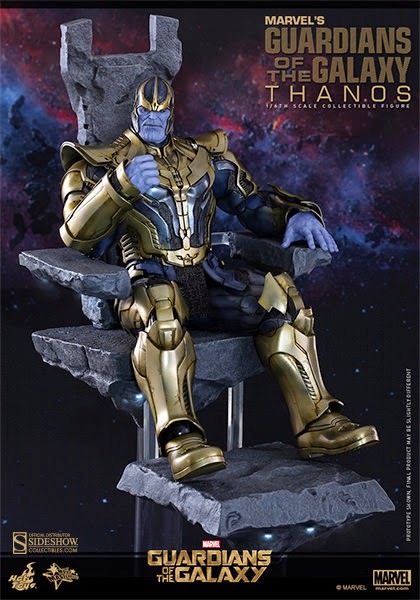 Thanos is one of the most infamous Marvel villains in comic book history. 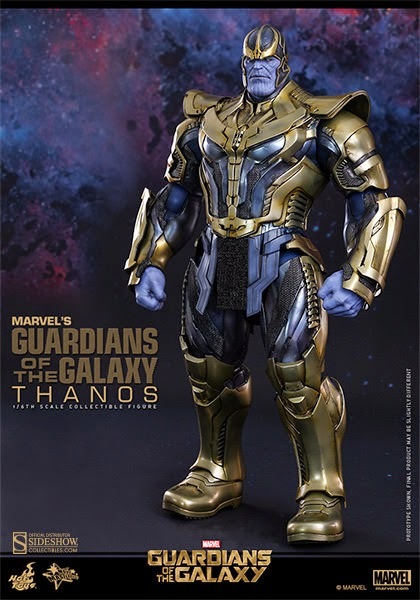 His first appearance in The Avengers has already got fans widely discussing the Mad Titan's role in the Marvel Cinematic Universe and in Guardians of the Galaxy; audiences are finally able to meet him fully when he gives his threatening speech to Ronan. 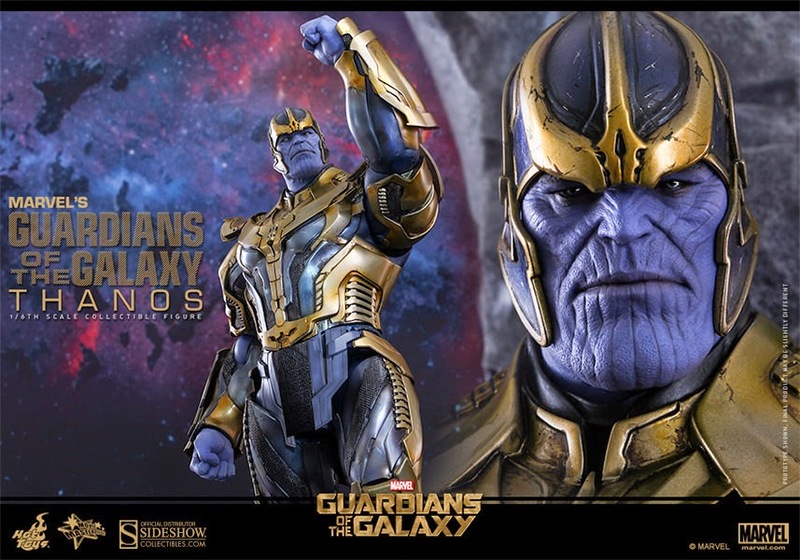 Sideshow Collectibles and Hot Toys are very excited to present the highly-anticipated Thanos Sixth Scale Figure from Marvel's Guardians of the Galaxy! 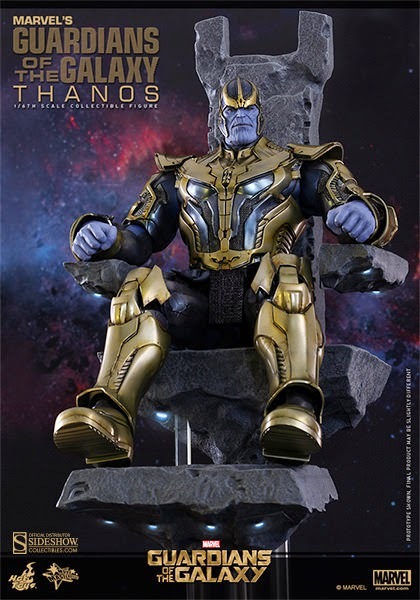 The movie-accurate Thanos collectible figure is specially crafted based on the appearance of Thanos in the movie, featuring the newly developed helmeted head sculpt, finely sculpted armored body, and Thanos' throne with LED light-up function. 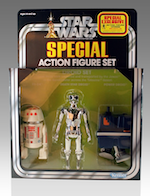 Supervillain fans, don't forget to make room for this powerful Eternal warlord!